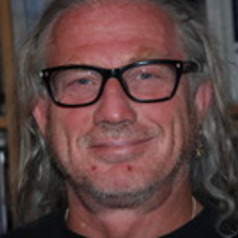 Howard Williamson is Professor of European Youth Policy at the Faculty of Business and Society at the University of South Wales. He was appointed CBE (Commander of the Order of the British Empire) in the New Year’s Honours List 2002, for services to young people. In 2014 he has been a visiting professor at the Academy of Youth Research, China Youth University of Political Sciences in Beijing. He has published well over a hundred papers on youth issues and has spoken at more than 600 national and international conferences. He is on the International Editorial Board of the Journal of Youth Studies, the Editorial Board of Scottish Youth Issues, Perspectives: the European Journal of Youth Research, Policy and Practice and the editorial advisory group for Youth Studies Ireland. He is also a member of the international advisory group for the DfES-funded longitudinal study of young people, which commenced in 2002. From 2003-2010 he wrote a weekly column in Young People Now (subsequently Children and Young People Now), then a monthly feature for Youth Work Now and he currently writes a column once a month for the bi-monthly Children and Young People Now.